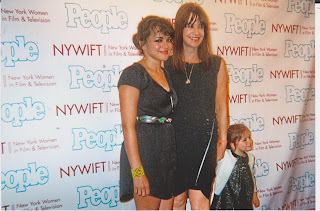 NORAH JONES, GRAMMY AWARD WINNER, attended the NYWIFT (New York Women in Film and Television "Designing Women event. Her songs are like Frank Sinatra, when we used to dance cheek to cheek. BEETHOVEN PIANOS celebrated its 40th anniversary on W. 58 st. Playing on one of their beautiful pianos was composer GREGORY NISSEN who wrote music for HOLIDAY IN HEAVEN, to play at Hudson Guild Theater, August 15, 9:30; 18, 2pm; 19 8pm.Presenting the evening was Debbie Dickinson who recently presented KRYSTAL MONIQUE at the Bitter End. HOW DOES A 155LB TEENAGER PIN A 250 LB GORILLA TO THE GROUND? HOW DOES A 155 LB TEENAGER PIN A 250 LB GORILLA TO THE GROUND? Was the eye-witness blind or was it in the dark, he could not see in the Trayvon Martin /Zimmerman case. GOTHAM GOSSIP extends sympathy to his parents for his untimely death. It makes us very sad these many days now and to come.!! !Our hearts bleed for him and his parents. SO SAD, SO SAD!!! !